Splendid work. I’ve been following with great interest. Fantastic, I’ve enjoyed these Orient express pages……. Excellent series. I am British living in Milan and recently did the Milan to Venezia Mestre stretch again, now only two hours by Frecciabianca train, same route via Verona, Padova , Vicenza. In 1983 while Interailling I did the stretch Venice, Trieste , Villa Opicina to Belgrade on a night train. I think it went through Zagreb as well. I am pretty sure that in those days the train stilll carried on direct from Belgrade to Istanbul, but I never got that far. 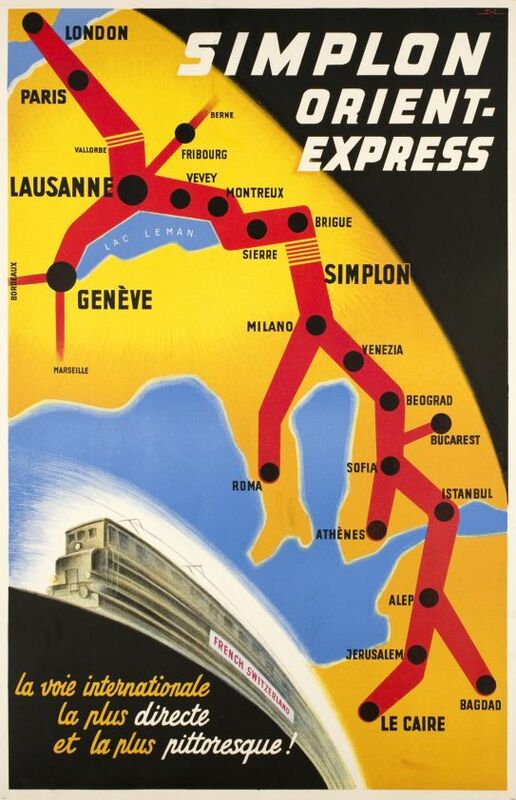 The year after I did Milan to Lausanne, via Brig and Domodossola. Your articles bring back some good memories and inspire me to try and complete the route. I just need Lausanne to Paris and Belgrade to Istanbul. Much less interesting than Bond, in 1983, I did smuggle several pairs of Italian jeans into the former Yugoslavia in my rucksack. They were in short supply at the time.